How Many Watts of Electricity Does it take to Power a Portable Sewing Machine? Real power-use measurements from a portable sewing machine. 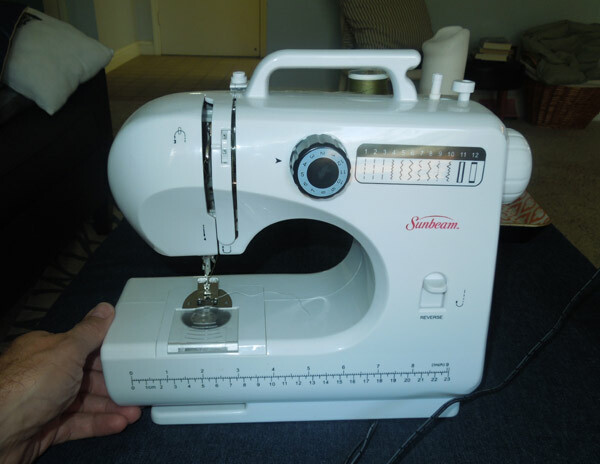 A portable sewing machine is a 3/4ths size sewing machine which uses a small motor to poke a needle through fabric and to wrap string around itself. It also uses tiny metal feet to move the fabric forward. Power use of these items was actually tested. Individual items will vary, but these are the actual measurements.